God is worshipped, God is praised. the lost are found here, the dead are raised. lives are changed, and mountains moved. Won’t you come and work among us? You are welcomed, you are loved. One: Wait for the Lord, like those who hope in God’s mercy. One: Watch for God, like those who eagerly await the morning. All: We watch for God, whose power redeems us. One: Hear God’s hopeful word, like those who long for pardon. All: Sing praise to God and rejoice in God’s love. Children’s Time –After prayers, sing the Children out – “Jesus Loves Me.” Children 5 and under are welcome to remain in worship or go to the nursery at this time. Old Fashioned Hymn Sing with John & Kate: Come sing your favorite hymns with John & Kate. They will be performing at the Ladder Community Center at 67 N. State Street in Shelby, on Saturday, July 7, 2018, at 6:00pm. A Love offering will be received. In last month’s Good News Letter, I started a series of articles called “why we are United Methodists” and this month I am listing the basic concepts of what we believe as United Methodists. John Wesley, our founder, believed there were a number of common Christian beliefs and we have adopted those beliefs as United Methodists. We believe in and worship the divine Trinity. We praise God one in three divine persons Father, Son, and Holy Spirit. We believe in the full divinity of Jesus Christ. We believe Christ to be the eternal, supreme God. We believe in the atonement and work of Jesus Christ. Jesus Christ sacrificed his life and poured out his emptiness for human salvation. We believe that our salvation comes about through the life, death and resurrection of our Lord Jesus Christ. We believe in the biblical authority in which Scripture is the sufficient rule of both Christian faith and our practice. The Bible contains all that is necessary for human salvation and for the reform of the church. We believe in the justification by faith alone. Faith must engage our heart and our mind in knowing God in three persons Father, Son and Holy Spirit. We believe in regeneration and holiness. As an evangelical church we affirm that grace is received from God as we continue to renew our trust in God. We believe in the Christian church. The church is a, “society” of believers and is necessary to come together to hear the Word of God, receive the sacraments and be in friendship together to support one another. We believe in the sacraments of baptism and communion. Baptism is the evidence that we are forgiven of our sins and we are born again into a new birth through Jesus Christ. Communion, The Lord’s Supper, offers us outward sacramental signs of bread and wine and the inward grace signified by these signs. By accepting these beliefs as Wesleyans and as United Methodist, we experience as John Wesley would call, “the way of salvation” or “the way to heaven.” John Wesley recognizes three stages of receiving grace – first Prevenient Grace, second Justifying Grace and thirdly Sanctifying Grace. These three forms of grace come with us as we find God’s way to salvation for each one of us. Come join Reba and Gary Peterson as they celebrate their 50th Wedding Anniversary at the beach with family and friends! They will have an Open House on Sunday July 15th from 2:00 pm to 6:00 pm at Summit Park. Summit Park Location: 5581 S. Lakeshore Drive, Ludington Michigan. The park is located between Pentwater/Bass Lake and Ludington. RSVP (231-869-3373) – No gifts please. You will bless us greatly by joining us! The Royal Ringers Handbell Choir of Shelby Congregational United Church of Christ will present a concert for the lakeshore community at 4:00 p.m. in the church sanctuary, Sunday, August 5, 2018. This is an intergenerational, ecumenical choir that meets once a week for rehearsal and plays for worship monthly. The concert will highlight both handbells and choirchimes in arrangements of new and familiar hymns, newly composed anthems and some congregational singing. There will be a freewill offering to a local charity. 68th Annual St. Joseph and St. Vincent Ox Roast & Homecoming Sunday, July 8, 2018 11:00 a.m. – 3:30 p.m. Dine-In or Take-Out Adults: $12.00 Kids (5-12): $5.00 Kids under 5: Free 2349 W. Jackson Rd. Hart, MI 49420 (From US-31 – Take the Pentwater – Monroe Rd. Exit (154), turn right (from the south) or left (from the north), go 2 miles East on Monroe Rd. then turn right onto 88th Avenue, then go 1 mile to our church and Faith Formation Center. Some-thing for everyone! 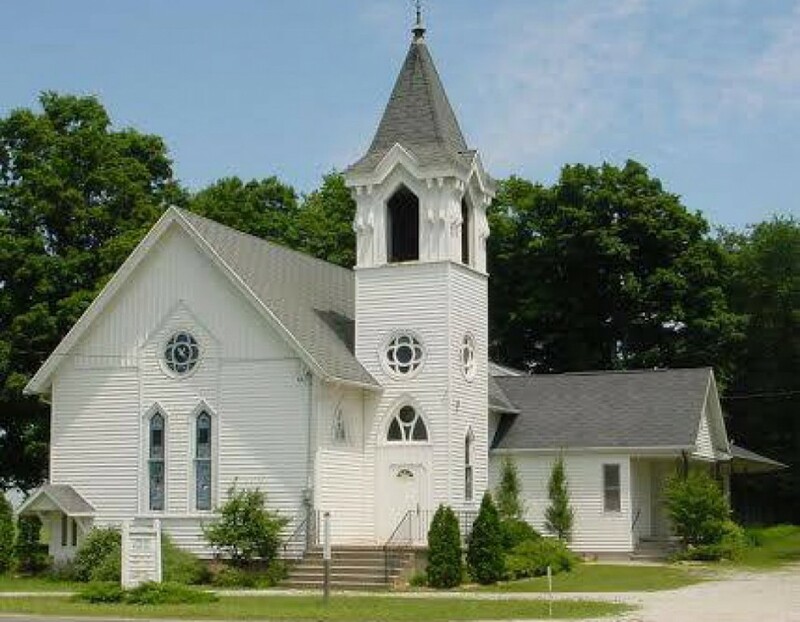 Raffles, Door Prizes, Bingo, Kid’s Games, Baked Goods, Crafts, White Elephant Sale, Silent Auction, Tours of beautiful St. Joseph’s Church built in 1909, Puddle Jumpers Car Club, and NEW this Year… Blessing of the Tractors! We Love Our Volunteers: Do you have a little extra time this summer? Are you looking for a meaningful way to serve? Do you enjoy hanging out with others who love Jesus and enjoy helping people? Then we have the place for you! Whether in the Donation Ministry, the Help Center, the reNEW Program, or individual acts of service, Love INC volunteers are sharing the Love of Christ in practical and helpful ways. Contact Beth at 231-861-5619 to find out how you can get involved or visit www.loveincoceana.org and click on the “Volunteer” tab. We’re getting really close! Our current balance is $4,518.35. That means we only have $981.65 left to raise before we will be fulfilling our goal of raising $5,500 for a well in Nigeria. More importantly, we only have $981.65 to raise before we can bless a community in Nigeria that struggles daily to obtain safe drinking water. We still have items for sale on the table, we’re still collecting pop cans, we still have a used book sale going on, we continue having monthly luncheons, and of course, you can always donate money by marking it and placing it in the collection plate. God has blessed us in so many ways, lets pass the blessing on to others and purchase this well ASAP! The 76th Annual Strawberry Social/Bake Sale is slated for August 10th from 5:00 – 7:00 PM. Come enjoy some shortcake and fellowship while at the same time supporting our UMW in their only fundraising event of the year. One: God interrupted Samuel with an unexpected call. One: God surprised Jesse, choosing his youngest son, David, to be king. One: We join with Christ and are a part of God’s new creation. All: O Mighty God, we come to join the harvest. One: Gather us in, O Holy One, for we would be your people. Children’s Time – After prayers, sing the Children out – “Jesus Loves Me.” Children 5 and under are welcome to remain in worship or go to the nursery at this time.